How many of us have blamed ourselves for staying too long? Many of us saw red flags at the very beginning but what did we do? Yes, I would take a wild guess and say that most of us ignored them. It wasn’t because we were stupid for not realising how toxic someone was. 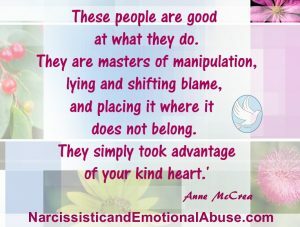 Manipulative people have played this game before. Hindsight is a wonderful thing. If you had known then, what you know now, you probably wouldn’t have put up with their noxious behaviour as long as you did. I know that I would have kicked a certain someone to the kerb in the early stages, had I have had the knowledge that I have now. There have been times when I looked back and questioned my sanity. Why did I put up with his bad behaviour time and time again? I was a strong person before I met him. How could I have loved someone who put others down constantly? (If not to their face, then certainly behind their back). I certainly saw red flags but I ignored them hoping for change that would never come. One of the first red flags occurred when we were on holiday in Gran Canaria. We had gone for dinner in the hotel’s rather dimly lit restaurant. The waiter came over to our table and asked us if we had chosen a bottle of wine from the wine list. In the dim light of the restaurant, I couldn’t make out the writing on the list and handed the menu to him saying that I couldn’t read it. He shouted across the table, “Just pick a f—— wine.” Somehow I lost my appetite and got up from the table and left. On a city break in Krakow, we were again in a restaurant having dinner when my mother phoned me. My father had dementia at the time and was confused with his finances. My partner became annoyed that I had accepted the phone call and showed his anger in the restaurant before walking out. Needless to say, this was rather embarrassing in front of other diners. I subsequently paid for the meal and walked outside. “Thanks for f—— nothing was his response.” He didn’t speak to me for the remainder of the holiday. I believe if my horses were not at his yard at the time, I would never have had any contact with him again. As time passed, he managed to work his way into my good books again and behaved himself for a while! I was subjected to the silent treatment time and time again for some perceived slight. His son who obviously hadn’t a mind of his own would join in these pathetic little mind games. I can say now without doubt that I facilitated this dysfunctional relationship. I should have nipped it in the bud long before I did, in the very early days, but instead I stayed with this toxic individual hoping that he would change and stop behaving like a spoiled five year old brat. He never did but I got wiser. I learned about narcissism, toxic behaviour and the unlikelihood that these people will ever change. I put on my hiking boots, started walking and never looked back. Did it hurt? Hell, yes, at the time and for some time after. Do I regret not leaving sooner? 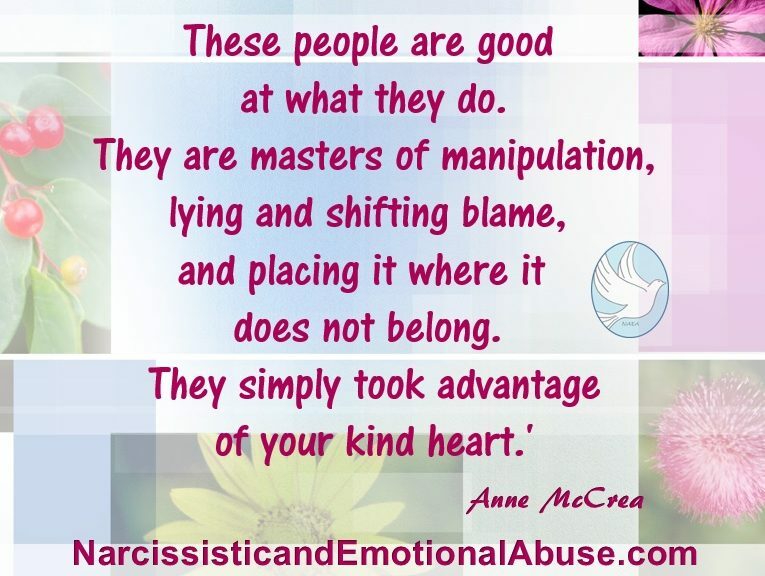 I believe that if I had walked away much sooner, the hurt would not have run so deep but then, I may never have studied the subject of NPD which led to the Facebook page, website and now my book, Narcissistic and Emotional Abuse, Shattering The Illusion. I believe that something good has come out of this difficult period in my life, so for those reasons, I can’t honestly say that I have regrets. This man who I knew for many years and went out with for six, is a part of my past. He showed me the kind of person who I do not want to be. He is the sort of man who places value on the material things in life at the cost of his personal relationships. Happiness will elude him because he will always want more and nothing and nobody will ever be enough. I count myself lucky that I eventually found the wisdom to know the sort of man he was, is and always will be. I know that I am a stronger person now, maybe stronger than I was before I met him. Some of life’s lessons are tough. Life is never easy but for each and every struggle we overcome, we know that we handled it, we handled it all and we’re still here to prove it. We can’t blame ourselves for not realising that some people are inherently evil. People with kind hearts simply believe that there is good in everyone and forgive too many times hoping that these toxic individuals will eventually see how they treat others and mend their ways. Sadly, this doesn’t happen very often. So forgive yourself. You’ve done nothing wrong. The only one who needs forgiveness is the person who hurt you time and time again without a second thought. Whether you decide to forgive them or not is entirely up to you. I personally, do not believe that I need to forgive someone who is not sorry for their behaviour. I don’t feel bitter, just indifferent. Remember, you placed your trust in someone who didn’t deserve one second of your time. You gave your love to someone who will never understand what that word means let alone feel what it’s like to really love someone. That’s their problem. Their dysfunction is not your burden to carry. Spot on. Well written. Sounds like a typical narc who you’re well rid of. And you’ve given inspiration to so many with your page, website and book. If you can overcome this and strive so can we. I couldn’t figure out why the last 40 years my family did what they did to me I knew something wasn’t right but at the same time that’s all I knew. It wasn’t till about 5 months ago that I realize that they had narcissistic personality disorders. I knew the only way to get away from them was to go no contact at all at which I did. I want so much to confront them but I know I can’t. I wish I would have known about this years ago. I realize that all my depression is due to the way my family treated me and I had no idea. I feel a lot better now and I’m able to try to make my life happier but that’s not always easy to do.